The toddler years are full of growth and smiles—but also tantrums. Toddlers don’t yet have the words to express strong feelings, and they’re still learning social skills. 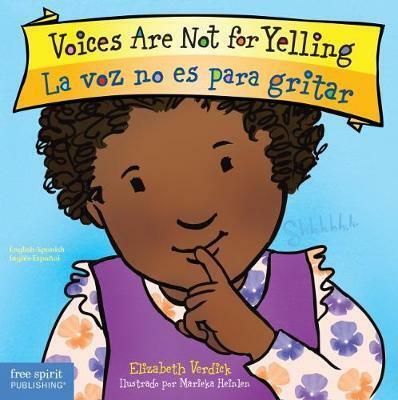 This bilingual English-Spanish board book helps little ones understand why it’s better to use an indoor voice and how to calm down and ask for help. Includes tips for parents and caregivers.